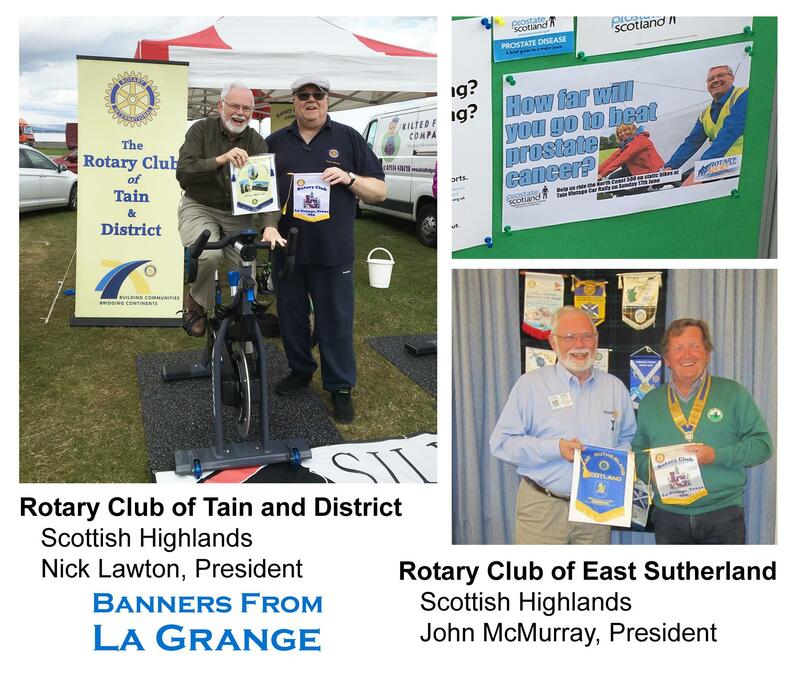 Larry Jackson took the La Grange club's banners with him to Scotland in June and visited Rotarians in two clubs in the Scottish Highlands. The Rotary Club of East Sutherland met at the Royal Dornach Golf Club, which in 2016 celebrated "400 years of golf at Dornach." Club president is John McMurray, who traded club banners with Larry. The club meets in the evenings, and at this meeting enjoyed a three-course meal featuring carved roast beef and followed by coffee. Eighteen Rotarians and four visitors were present. They celebrated the approaching end of a successful year by approving donations of £4,450 that was above their regular budget! Although Sutherland (the northernmost in Scotland) is the UK's largest county in area, it is sparsely populated and has only two Rotary clubs. Larry also visited a service project of the Tain and District Rotary Club. Tain is in the next county south of Sutherland, called Ross and Cromarty. 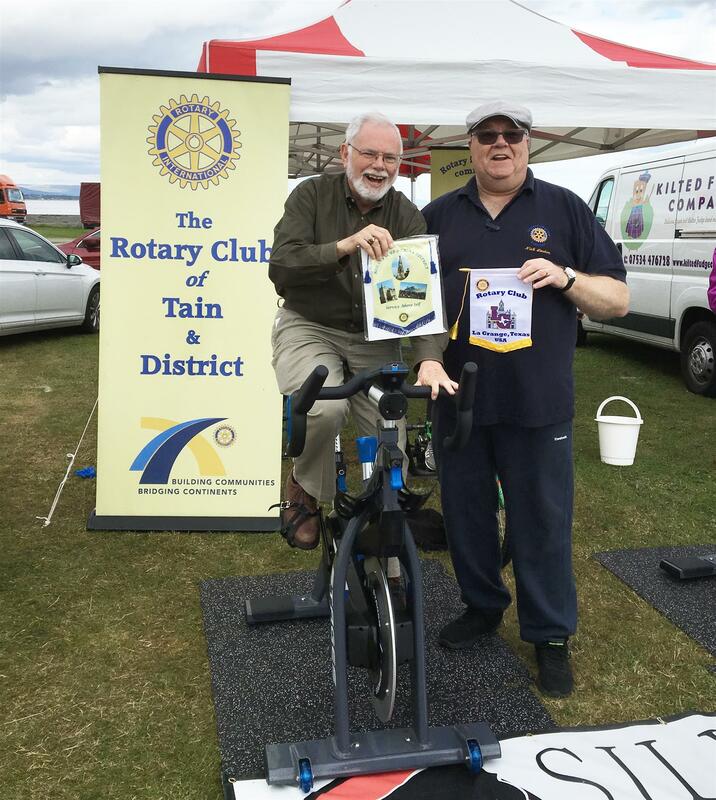 The club was sponsoring a fund-raising booth at the Vintage Car Rally in Tain on Sunday, June 17. People could ride stationary bikes at the booth in support of a "real" bike ride raising funds for Prostate Cancer Research. 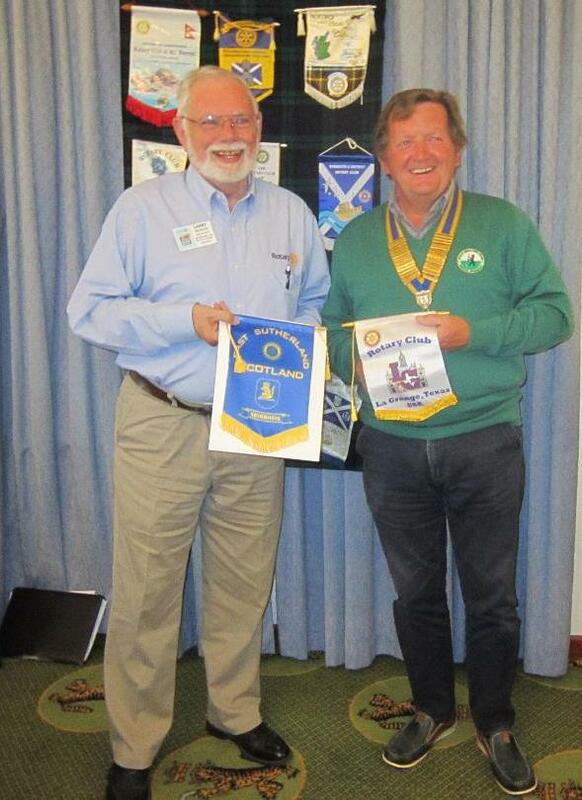 Tain Club president Nick Lawton traded banners with Larry.